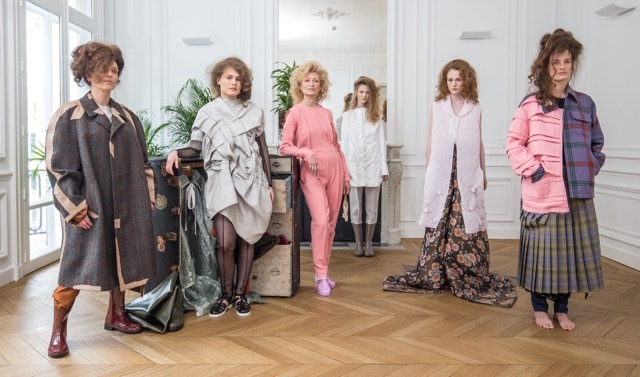 On Thursday 3 March, there master design students and one alumnus of ArtEZ University of the Arts Arnhem presented their highly personal visions on the future of fashion in salon presentations at the Atelier Néerlandais during Paris Fashion Week. 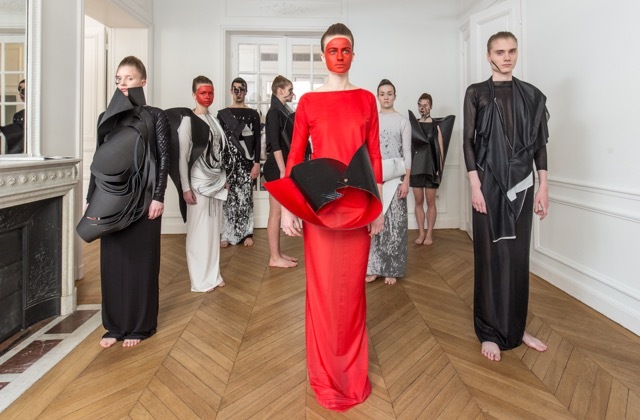 Entitled “Arnhem Masters in Fashion”, the new generation of the institute proved that an impactful presentation is not reserved for big catwalk shows. 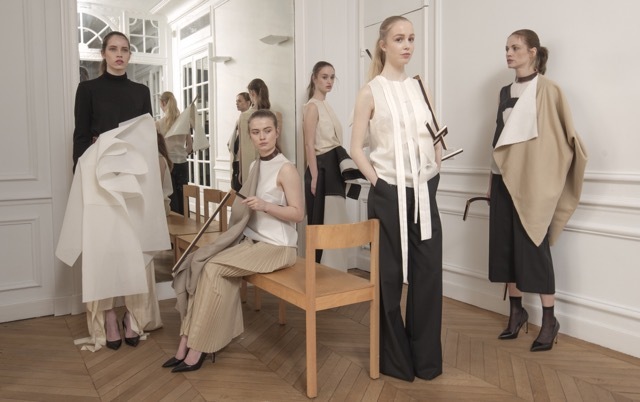 Designers Sunna Örlygsdóttir, Hee Kim, Lisa Forster and alumnus Simeon Morris presented their new fashion proposals to an audience of professionals from the vast field of fashion and beyond. The audience was confronted with their different visions and ideas in an ongoing presentation of the designers collections. Hee Kim (South-Korea) presented a new free and expressive way of designing. Inspired by the Kinetic drawings of Heather Hansen and the work of chorographer Pina Baush, her spontaneous moulage-aproach resulted in highly abstract and sculptural silhouettes, exploring the ne line between art and fashion. Lisa Forster (Germany) was inspired by the intimate and exclusive relationship we have with our clothes to create a collection based on the rst movements we make in our garments. Urban activewear and hand- nished manufacturing are blended in a fashion proposal that invites the wearer to design its own apparel language. Simeon Morris (United Kingdom) explored new forms of tailoring, based on abstract shapes and geometry. An everyday abstract shape, a sheet of A4 paper, formed the basis of his monumental shapes that question the space between garment and wearer. Sunna Örlygsdóttir (Iceland) proposed a new wardrobe, based on the idea of her own fashion needs for an imaginary period of one year and ten days spent in solitude. What would one wear if there were no eyes to judge, no impressions to be made, no new fabrics to use. Her fashion escapism translated into an eclectic and fantastical collection. Mark van Vorstenbos, head of the department: “Now, more than ever, the fashion system is in need of fresh proposals. The personal visions of our Masters in Fashion were presented in a very intimate way, facilitating conversation in an atmosphere of openness and inclusivity; the audience was invited to take more than one look at the garments and exchange ideas with the designers”. The ArtEZ fashion design master aspires to educate fashion professionals who from a highly personal fascination, critically interrogate their own unique handwriting as fashion makers in relationship to the current design discourse to seek out both their relevance and their additional value through research and design. With Arnhem Fashion being founded over 60 years ago, the cultural heritage is enormous. Being positioned outside the fashion establishment, each student is offered a wide open space to explore and develop his or her own refreshing idiosyncrasy.